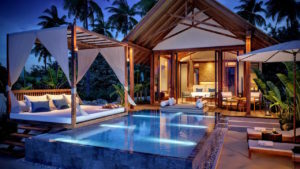 Whether you are an adventurer seeking the underwater experience, or an explorer looking for remote exotic islands or a fishing enthusiast looking for the big catch or if your passion is water sports or if you want to indulge in Furaveri’s rejuvenating spa treatments or if you are simply seeking sunbathing in the soft white sandy beach or taking a swim in the crystal clear lagoon, Furaveri Island Resort and Spa is the ideal place to be on your holiday. 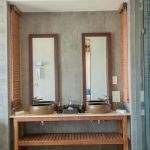 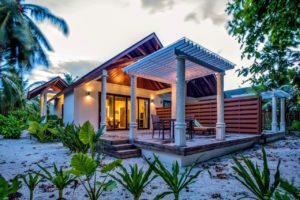 With a view of glittering white sandy beach and the turquoise lagoon, the Pool Beach Villa is your perfect private accommodation with a large compound covered by wooden sundeck fenced for privacy and bursting with tropical foliage. 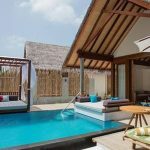 Complemented with a cushioned daybed with loungers and lush garden, the private 6-metre pool is the heart of your villa experience. 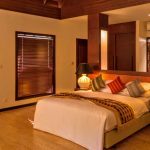 Facing the soft white sandy beach, the Premium Beach Villas come with a spacious bedroom, a large front wooden sundeck with privacy fencing, a snug sitting, dining area and a spacious open air bathroom. 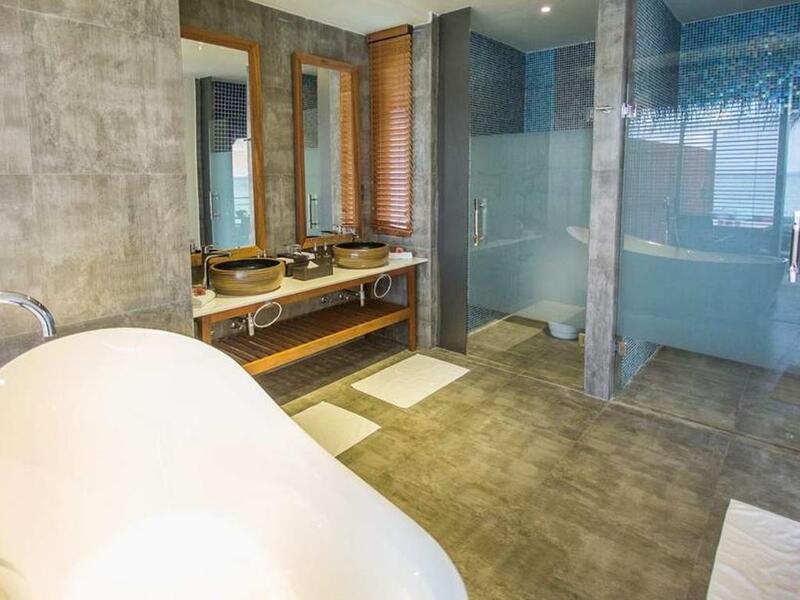 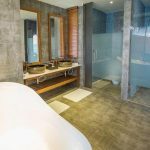 A large Jacuzzi bath tub will add allure to your holiday stay. 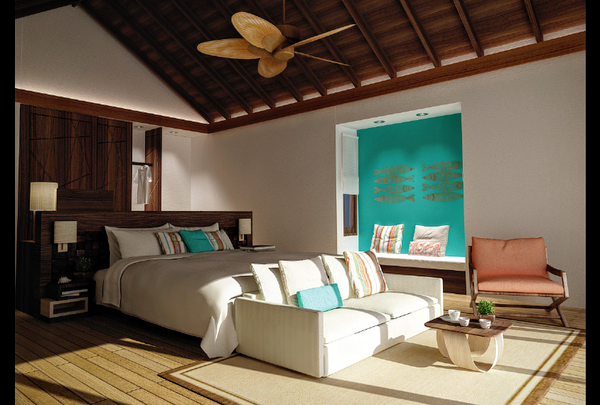 The Premium Beach Villas are pure and refined tropical getaway hideout. Nestled in the lush gardens of tropical fauna and few steps away from the beach, the Premium Garden Villas are elegantly designed and generously spacious with large private sundeck, complete with your own private tropical garden with an extra-large bathroom complimented with a Jacuzzi bath tub. 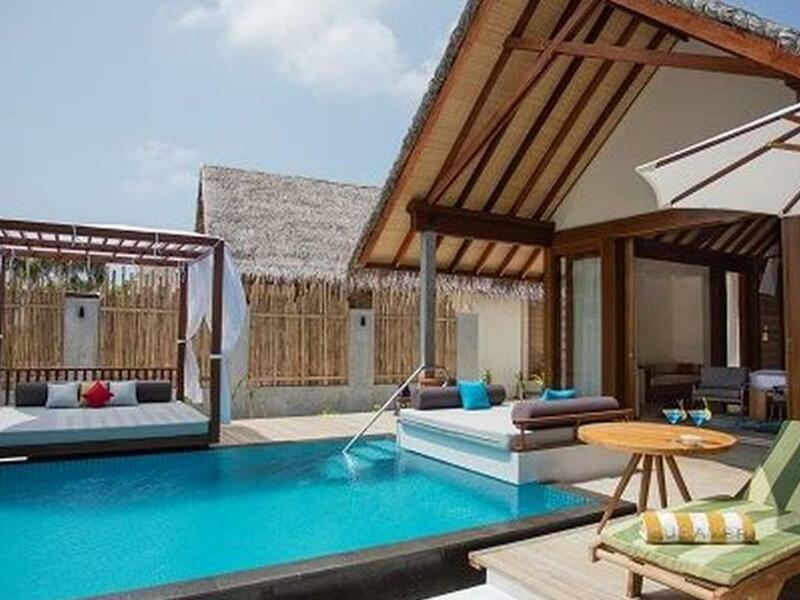 These villas offer the comfort and luxury for individuals and families. 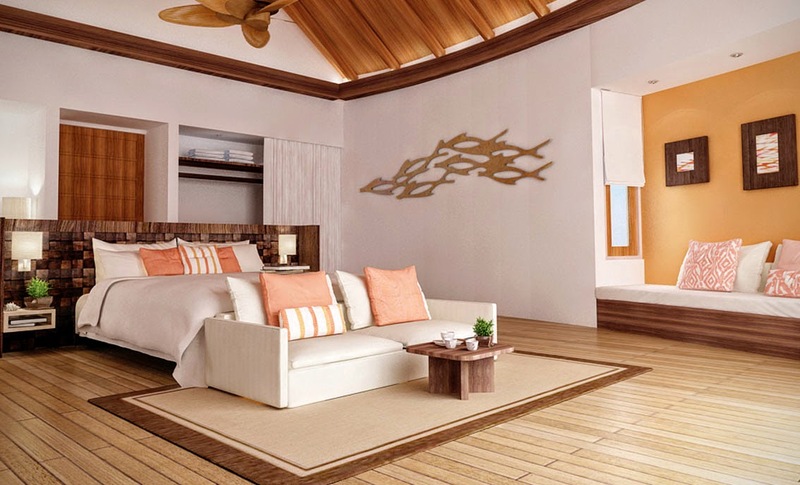 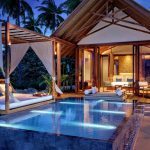 Design inspired by the traditional Maldivian fishing boat the ‘Dhoni’, and nestled in the vegetation on the edge of the white sandy beach, this luxurious villas will give you an experience of pure serenity with creatively designed spaces with an en-suite bathroom and a large private pool. Over-water villas built in the turquoise lagoon is connected to the island by a wooden pontoon which appears to float over the turquoise lagoon. 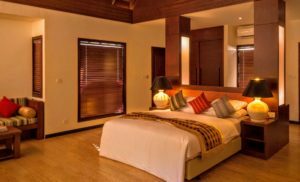 The spacious villas have been disjoined to give guests pure privacy through extended decked veranda with sun loungers and an outdoor dining area. 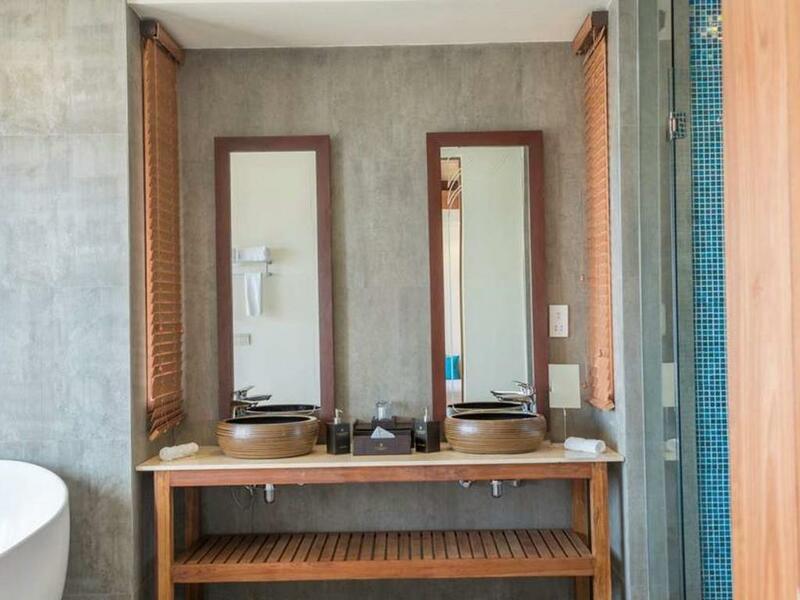 Guests will enjoy the luxury of the villas they are being caressed by the subtle ocean breeze and the view of the distant horizon and wooden stairway with handrails leading directly into the inviting water of the lagoon.